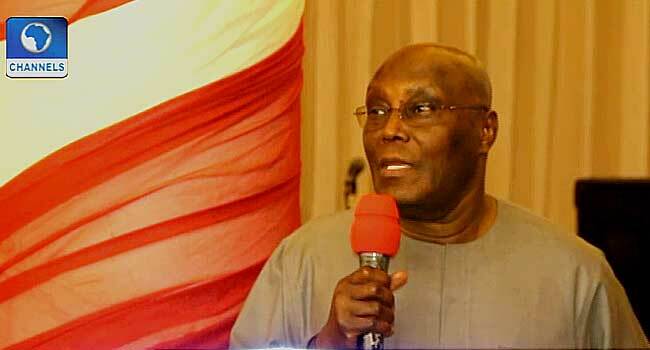 The presidential candidate of the Peoples Democratic Party (PDP), Atiku Abubakar, has asked the Federal Government to prevent the planned industrial action by the organised labour. The former vice president gave the advice on Monday in a statement by his media adviser, Mr Paul Ibe. “Our economy is already on its knees and escalation of this crisis into full-blown industrial action may have dire consequences on our nation,” he warned. Atiku was reacting to the impasse between the government and leaders of the Nigeria Labour Congress (NLC) and Trade Union Congress (TUC) over the minimum wage for workers in the country. Although he restated his position in support of labour in its struggle for a living wage, the former vice president urged it to reconsider its stance on the proposed nationwide strike. He asked both government and organised labour to exercise restraint and avoid creating situations that would plunge the nation into deeper crises. Atiku also encouraged both sides to go back to the negotiation table and reach an agreement.